Don't miss out on this beautiful Factory Built Home with much to offer. 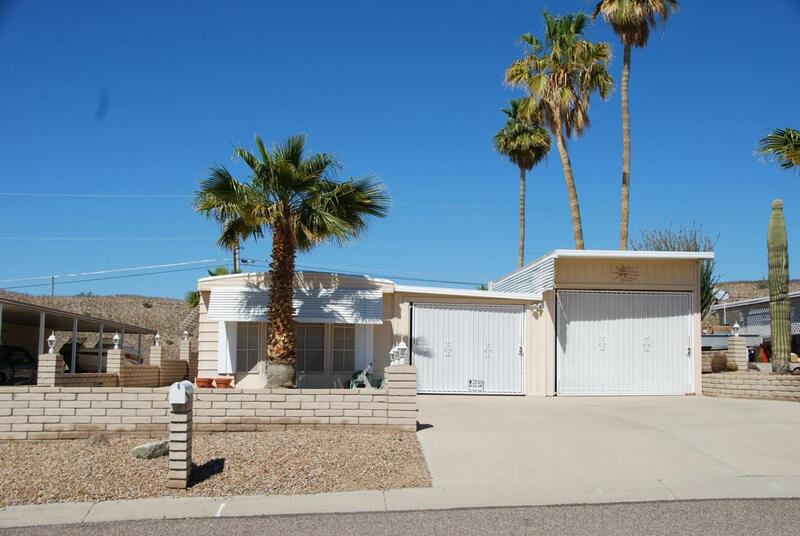 This spacious two bed, two bath home has been well maintained with new carpet throughout. Both bath's have upgraded tile showers. Tile floor and Laminate counter tops and appliances with Natural gas range in the kitchen are in excellent condition. Indoor stacked washer and dryer will stay with the home. 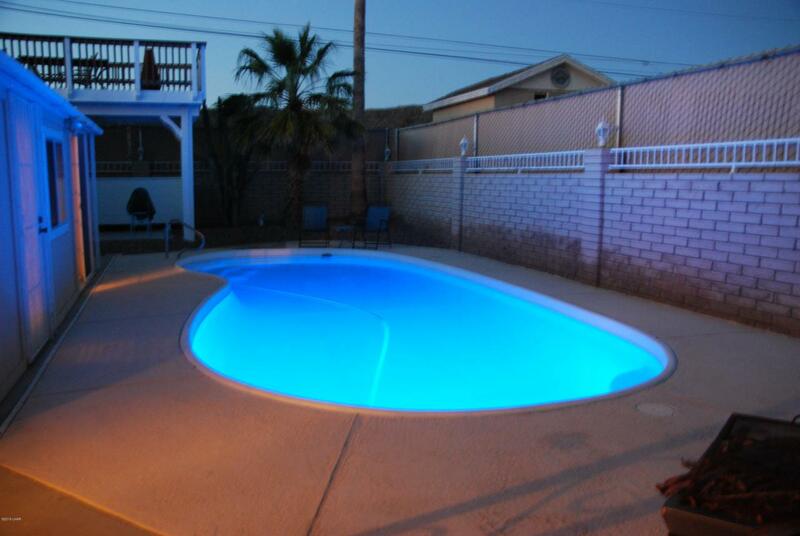 As a bonus an Arizona room has been added to the home just off the pool. 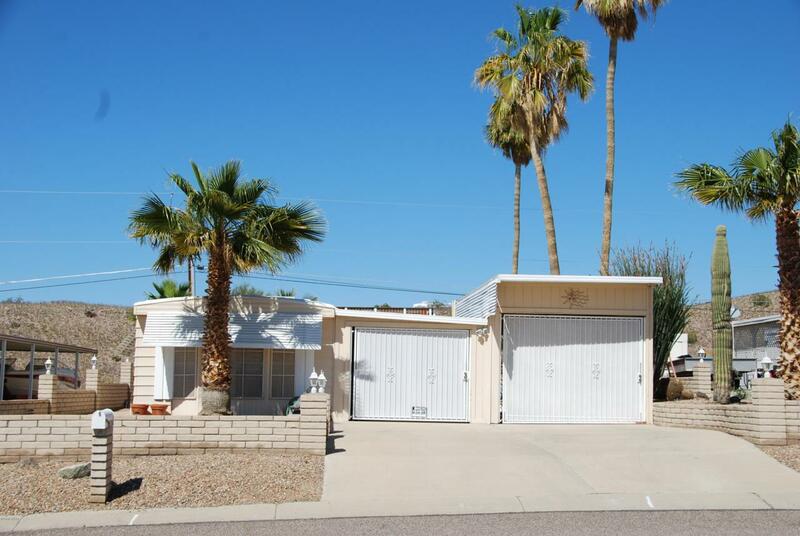 This beautifully landscaped spacious home with a private heated pool and patio will bring years of family enjoyment and a great place for entertaining as you cool off from the summer heat or if you would prefer the pool can be heated for your winter ''very private''. Spend the evening's on your private viewing deck observing the beautiful Arizona sunsets over Lake Havasu and a mountain view beyond the lake. A decorative block wall encompass the property excluding the entry to two enclosed carports . This home has had many upgrades over the last four years to include carpet, appliances, roofing reseal and HVAC unit. 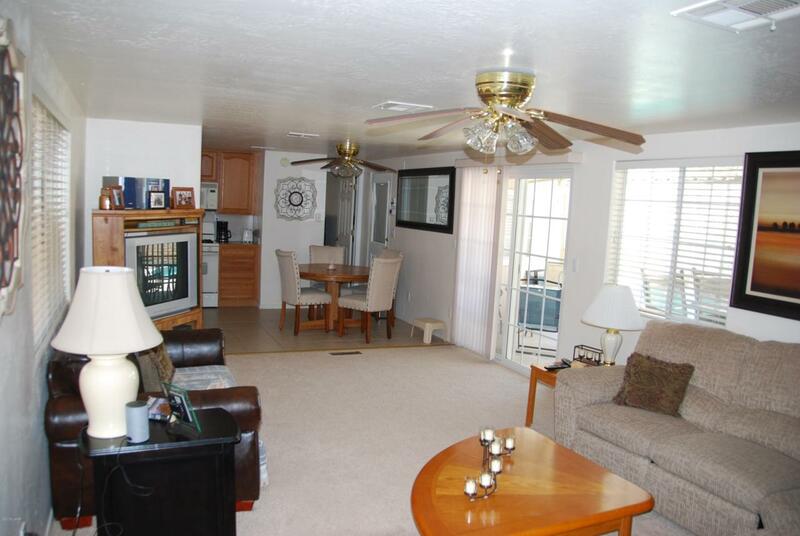 This is a great home for full time residence, summer boaters or winter visitors. Take a look I'm sure you will be impressed.